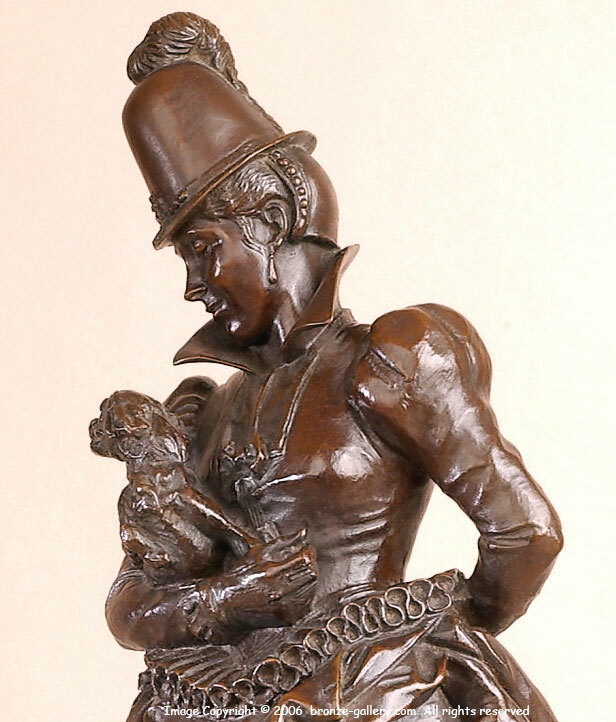 This model which is titled "Damoiselle" was exhibited by Fremiet at the 1873 Paris Salon. It was cast by the artist in his own foundry and bears the punch number 1. The detail in the womans clothing is crisp right down to the buckles on her shoes. The flowing of her dress as she walks is captured flawlessly by the artist. This is a large extremely detailed portrait figure. It is finished in a brown patina and mounted on a red marble base.